Hill Capital Corporation, a company founded in honor of James J. Hill, the “Empire Builder,” today announced it is selling 5,000 shares of common stock in a public offering at $1,000 per share. The offering is being made directly by Hill Capital Corporation. Hill Capital is offering a total of 20,000 shares via a public offering of 5,000 shares and a contemporaneous private offering of 15,000 shares. The public offering is made under Hill Capital Corporation’s offering circular filed with Form 1-E/A on February 1, 2016 with the Securities and Exchange Commission. An additional 15,000 common shares will be offered via a private offering under Rule 506(c) of Regulation D of the Securities Act of 1933. Hill Capital’s mission is to create a grassroots community to invest in small business and support entrepreneurship in the communities that Mr. Hill’s Great Northern Railway served. Hill Capital was founded by entrepreneurs, our Board of Directors and the James J. Hill Center that share the vision of funding and supporting today’s Empire Builders. Hill Capital intends to use the proceeds of the offering to make investments in small businesses in accordance with its investment objective and for general corporate purposes. Hill Capital Corporation has come to an agreement with UMB Fund Services and UMB Bank, n.a., to provide Hill Capital with transfer agent and escrow services, respectively. The parent company, UMB Financial Corporation, is a multi-billion-dollar diversified financial services holding company, and its asset servicing division, UMB Fund Services, Inc., is headquartered in Milwaukee, Wisconsin. Offering a full array of back-office services for all types of investment funds, UMB Fund Services is nationally known for its high-touch service, its willingness to innovate services for new fund types and its expertise in working with start-up funds. The offering may be made only by means of an offering circular, copies of which may be obtained from Hill Capital Corporation at 80 West 4th Street, St. Paul, MN 55102 or by emailing Austin Bogestad at austin(at)hillcapitalcorp(dot)com. 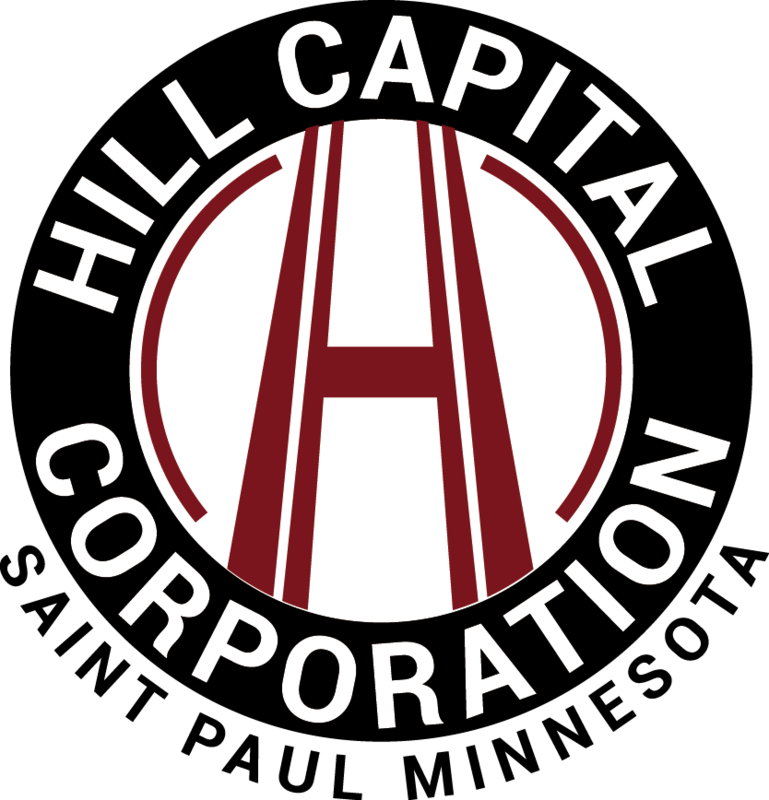 Hill Capital Corporation was formed on January 21, 2014, as a Minnesota corporation to partner with entrepreneurs, business owners, management teams and complementary financing sources, such as community banks, to primarily invest in small businesses that generally have annual revenues of $5 to $25 million. Hill Capital intends to be an internally managed, non-diversified, closed-end business development company (“BDC”); however, the Company intends to meet the diversification standards for regulated investment companies (“RIC”) under subchapter M of the Internal Revenue Code. For more information, visit http://www.hillcapitalcorp.com. Opened in 1921, the James J. Hill Center supports the legacy of one of America’s greatest entrepreneurs. Today, The Hill’s focus is supporting business, entrepreneurship, and community. It delivers its Mission by providing an iconic place to learn, convene and connect – in the community, business, and the arts. Our goal is to build sustainable and lasting relationships that enable entrepreneurial activities and economic prosperity by providing services, programming, and events. Learn more at http://www.jjhill.org.